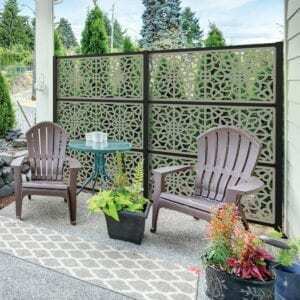 Allure® Decorative Screen Panels are a perfect interior or exterior home accent that can enhance or add beauty to your home or creative project. Allure Decorative Screen Panels resists warping, rot, twisting, splitting, discoloration and scratching. The low-maintenance, impact-resistant material will ensure that your screen is stable in extreme climates and will be as strong as it is attractive. 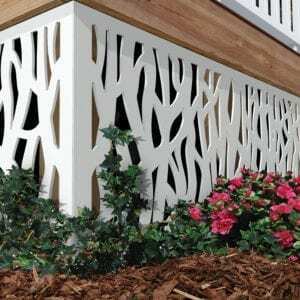 Allure Decorative Screen Panels are paintable to easily customize the look to complement any home project. Available in 4 designer patterns, we’re sure to have an option that will fit your creative project.